Our “File Today, Pay Later” option gives you the convenience of having your taxes professionally prepared and paying your tax preparation fees later when the IRS releases your tax refund money. 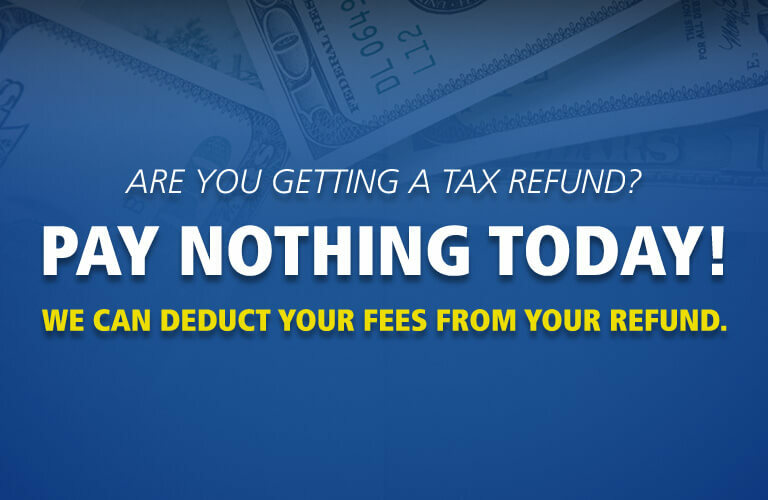 A convenient way to pay fees associated with tax preparation without having to pay anything out-of-pocket. Our “File Today, Pay Later” option gives our tax clients the benefit of having their tax refund processed safely & securely as a direct deposit rather than waiting additional time for their tax refund check to be printed and mailed from the IRS. "File Now, Pay Later" clients can choose from multiple disbursement options. At M&M Tax Service with our “File Today, Pay Later” we find many tax customers, even those with bank accounts, prefer to pick up a bank issued tax check from the safety of our tax offices rather than receiving an IRS issued tax refund check in the mail or by direct deposit to their personal bank account.